Samsung Electronics plans to unveil a flat-panel TV that’s as thin as just 6.5-millimeters at this week’s International Consumer Electronics Show in Las Vegas, it said Sunday. The TV set, few details of which were immediately available, is between 6.5mm and 7mm across its width and has an LED (light emitting diode) backlight. 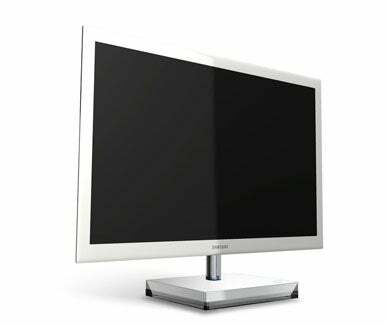 The backlight sits behind the LCD panel and generates the light that shines through it to allow the image to be seen. Most LCD panels use thicker backlights that make use of fluorescent lights but LEDs are fast finding favor with TV makers for their thinness and better overall light. The Samsung TV stands at present to be the thinnest LCD TV yet demonstrated. Until now that record was held by Europe’s Philips, which unveiled an 8mm prototype LCD television at the IFA electronics show in Berlin last year. At the same event Sony took the wraps off a 9.9mm set that has already gone on sale and is the thinnest LCD TV available in retail stores. Samsung plans to introduce a backlit-LED flat-panel TV between 6.5mm and 7mm thin before CES kicks off on Thursday. CES begins on Thursday. Samsung has scheduled a news conference for Wednesday at which the TV set is expected to be first shown. Even thinner TVs based on a newer screen technology called OLED (organic light emitting diode) are also expected to be on show at CES. Sony used last year’s CES to launch the first commercial OLED TV into the U.S. market and no manufacturer has yet to follow-up the 11-inch XEL-1 with a competitor. With Sony and Samsung both busy developing OLED TVs and other companies on their research heels the show may see even thinner TVs.